This is Princess Marie Louise of Savoy, also known as Princesse de Lamballe (1749 -1792.) 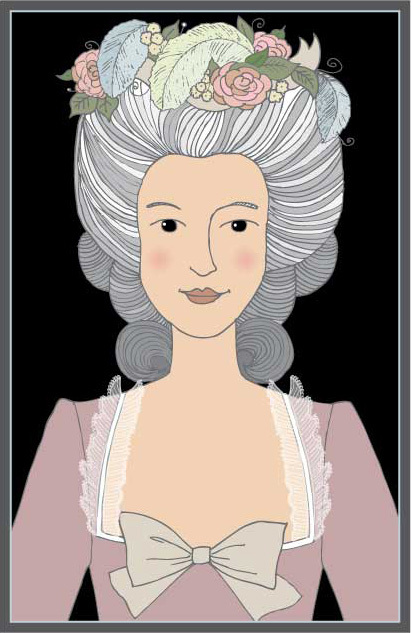 In 1775, Marie Antoinette, whom adored the very wealthy Princess, appointed her “Superintendent of the Queen’s Household”, the highest rank possible for a lady-in-waiting. This appointment did not make Marie Louise very popular with the aristocrats. In 1775 the Princesse de Lamballe was thrown to a violent crowd and brutally murdered in the streets. The lovely people of Paris then put her head on a stick and danced around Marie Antoinette’s windows (the windows of Temple- a medieval fortress/prison), forcing the Queen to look at her beautiful friend’s face. Her body was never found.